Like cookies and milk, dairy farming and family are just a natural combination. While we were celebrating Cody's twenty-fourth birthday today, bringing out the picture album seemed a natural response to questions about the early days of number one son. It's obvious from looking at these pictures that our dairy farm family milestones are intermingled with dairy farming. 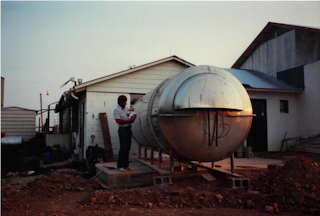 The year Cody was born, 1988, was also the year our current milking facility was built and included the addition of a stainless steel milk tank that stores 28,000 pounds of milk. Stainless steel refrigerated milk tanks are needed to store the milk and keep the milk cool until it is transported to the milk processing plant. Refrigerated milk tanks are an important part of the system that make milk the safest foods available. Just as our family is growing and changing, we are also looking at innovative practices to make our farm more sustainable. Cooling the milk more efficiently is one of those practices under consideration. The milk tank will still be needed for storing the milk, but new and more innovative equipment will help to conserve energy and reduce the operational cost in cooling the milk. 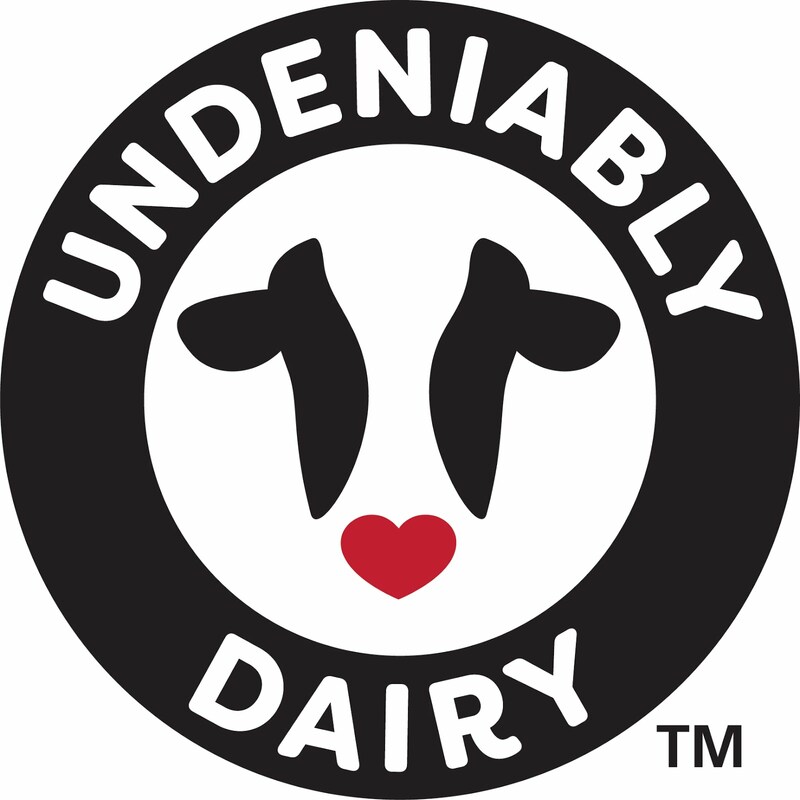 Bringing new innovative technology into our dairy farming operation is a natural combination with our dairy farm family's mission statement to produce the highest quality, lowest cost milk possible in an environmentally responsible manner. Farms and ranches provide natural habitat for many birds and animals. Last June we were watching these Egyptian geese with their babies and this week I found this young pair swimming in the same pond. I can enjoy watching God's perfect creation. While your schedule may be increasing with outdoor activities and spring sports practices, our spring schedule on the dairy farm is totally out of control as we harvest spring crops,prepare to plant crops and have a lot of new baby calves to care for. During this hectic time, my kitchen seems to become a fueling station with a revolving door. Keeping plenty of milk,cheese and yogurt available is my number one fuel station priority because it provides essential nutrients that we all need and it is my family's favorite grab and go fuel-up food. Calcium: Helps build and maintain healthy bones and teeth. Potassium: Helps to regulate the body's fluid balance and maintain normal blood pressure. It's also needed for muscle activity. Phosphorus: Helps strengthen bones and generate energy in the body's cells. Protein: The protein in milk,yogurt and cheese builds and repairs muscle tissue, and serves as a source of energy and satiety. Vitamin D: Promotes the absorption of calcium and enhances bone strength. it is one of the nutrients Americans lack most. Vitamin A: Helps maintain normal vision and skin. It is also important for bone growth. Vitamin B-12: Helps maintain healthy red blood cells and nerve cells. Riboflavin: Helps convert food into energy the body can use. Also known as vitamin B2, it's important for normal eyesight and healthy skin. Niacin: Helps bodies digest carbohydrates and fatty acids. You can find more information about dairy nutrition for fueling up at http://www.midwestdairy.com or http://www.dairymakessense.com. Protecting the environment as we work to produce high-quality milk is a priority for my fourth generation dairy farm family. Recycling the manure that our cows produce is one of the ways we celebrate Earth Day everyday on the dairy farm. 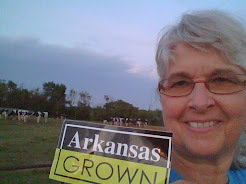 Recycling the manure from 300 dairy cows requires a permit from the Arkansas Department of Environmental Quality. The permit allows storage of liquid and dry nutrient and utilization of the manure nutrients to fertilize our land. A special farm plan designed by soil scientists provides the guidance as to how much manure can be applied to each designated field. Recycled cow manure builds organic matter in the soil, increases the water holding capacity of the soil, and decreases the amount of commercial fertilizer needed for crops. Our everyday celebration protects the environment and increases the sustainability of our farm. Farmers and rancers across America celebrate Earth Day everyday as we work to care for our animals and land to provide the safest,most affordable and available food supply in the world. As dairy farmers, we rely on sound science and technology to help us produce a healthy product and protect and preserve our land for the next generation. From my family to yours--Happy Earth Day! Although Everyday is Earth day for dairy farmers , it's always fun to recognize a special day or occasion with a celebration that includes food. Cream Puff Cake was one of the many delicious recipes entered in the Farm Bureau dairy recipe contest this week by Maysville 4-H member Jessica Crawley. Preheat oven to 375 degrees. In a small saucepan, heat 1 cup milk and butter until melted. Remove from heat and add flour. Stir until a small ball forms. Add eggs,one at a time,stirring until completely mixed in (batter will be slightly sticky). Spread dough in bottom and up sides of a 9" greased round cake pan* (spread as smooth as possible to avoid high bumps after baking). Bake for 25 minutes until slightly browned. Cool on wire rack. In a large bowl, beat softened cream cheese until smooth. Add milk and pudding mix; beat on low speed until mixture thickens. Spread over cooled crust. Whip cream until soft peaks form. Spread over pudding layer. Drizzle chocolate syrup or fudge sauce on top. Refrigerate until serving. *May use 9x13x2 inch pan. Bake crust for 30-35 minutes. It does seem fitting for a dairy farmer to celebrate Earth Day with a recipe that includes delicious dairy products! and we go home happy after meeting new friends and visiting with old ones,sharing information about dairy, and sampling alot of great dairy foods! Volunteers get all the benefits! Last week while searching for a new dessert recipe, I found Buttermilk Crumb Cake in an old Southern Living recipe book. What I liked about the recipe was the fact that I had all the ingredients on hand. Buttermilk is a staple in my kitchen because of its old fashioned Southern usefulness,charming qualities and one of my family members likes to drink it on occasion as a remedy for upset stomach. When combined with baking soda, buttermilk produces light baked goods and adds extra tenderness,moisture and flavor. Buttermilk acts as a tenderizer when combined with seasonings in marinades for meat and poultry. Buttermilk adds low-fat creaminess and flavor to soups,salad dressings and sauces. Buttermilk can be substituted for yogurt or mayonnaise in some recipes. Buttermilk's tangy flavor goes well with sweet fruits such as peaches,cherries, and pears. Buttermilk can be made with sweet milk by adding 1 Tablespoon vinegar or 1 Tablespoon lemon juice to 1 cup of milk. I also love the fact that I can enjoy looking at my grandmother's churn and not have to make the butter and buttermilk before I can bake the cake! Combine flour,sugar,butter, and spices; mix thoroughly until mixture resembles crumbs. Reserve 1 cup crumb mixture for topping. Add eggs,buttermilk,baking powder, and soda to remaining crumb mixture; beat well. Pour into a well-greased and floured 13x9x2 in. baking pan. Top with reserved crumbs. Bake at 350 degrees fro 45 minutes or until cake tests done. Cut into square and serve warm or cold. Do you have a favorite buttermilk recipe? Fourth grade students across Arkansas are taking required benchmark tests this week. During the week of testing, students are encouraged to get plenty of sleep and eat breakfast each day. Although test prepartion is important, making sure that a child has breakfast every day is important to building lifelong healthy habits. Improves classroom performance, including better test scores and grades. Increases children's ability to focus and concentrate on school work. Decreases behavior problems, tardiness, and visits to the school nurse. Establishes healthy habits for later in life. The 2010 Dietary Guidelines recommends that children include three servings of low-fat or fat free dairy foods in their diet each day. Including dairy at breakfast makes perfect sense. 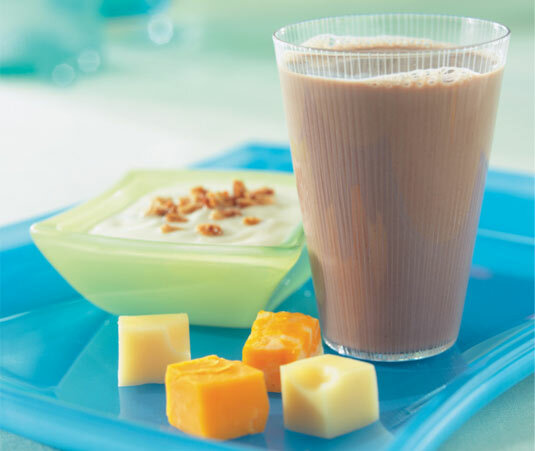 Together,milk,cheese and yogurt play a critical role in providing nine essential nutrients, including calcium, magnesium, potassium, and phosphorus, in addition to 48 percent daily value of protein. 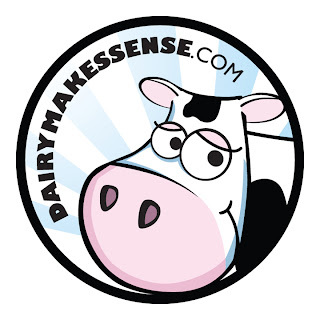 You can find more information about dairy nutrition, the importance of breakfast and great breakfast ideas at http://www.midwestdairy.com or http://www.dairymakessense.com. Although I attend church every Sunday, I look forward to our Easter worship service. Since 1933, Christians have sung He Lives and it has been part of my Easter tradition since I was a very small child attending church with my family. Blessings to you and yours! I serve a risen Saviour; He's in the world today. In all the world around me, I see His loving care. And tho' my heart grows weary I never will despair. I know that He is leading, thro' all the stormy blast. Today's lab assignment for University of Arkansas Food and Hospitality students was to tour a real dairy farm. It doesn't get any more real than to watch cows being milked,smelling the silage in the feed barn, or getting a juicy lick from a baby calf. I love the questions these young consumers ask about the farm and the conversations that are started about how we work every day to produce a safe nutritious product by caring for our animals and our land. Petting the baby calves always seem to be the highlight of the tour and I must admit, I love listening to the laughter of the students as they pet the calves and take pictures. It's a great place to explain how these heifer calves are the future for our family farm. 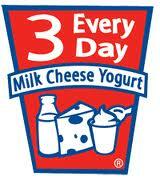 I do appreciate the opportunity to share our family dairy story! Spring harvest for our farm began Friday when the first field of wheat was mowed by my youngest son Casey. After last year's extreme heat and drought that caused poor yield of our hay and corn crops, we are anticipating a great spring crop. Wheat silage will make a nutritious addition to our dairy cow's diet and is part of our plan in producing high quality milk. Every bit of this spring wheat crop is crucial to the sustainability of our family farm. 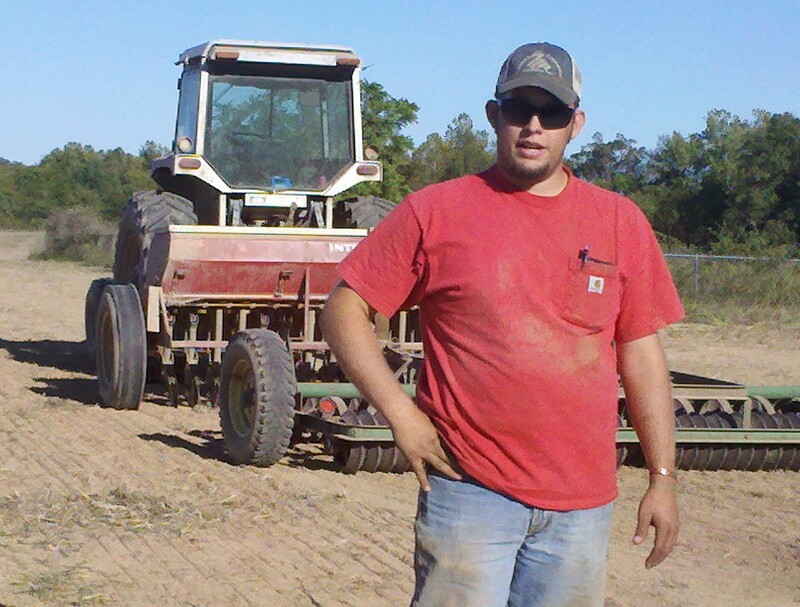 When the silage chopper and truck pulled into the field Saturday afternoon, it appeared that everything was working as planned. After taking a few pictures, I returned home to do my own chores. When I heard the chopper returning to the shop, I had a sinking feeling that all was not right. Sure enough, major mechanical problems required shop work the rest of the afternoon. With the possibility of rain in the forecast, the chopper still broke down and the importance of harvesting every bit of this wheat, farmer flexibility kicked in. Instead of chopping the wheat, it would be baled and wrapped. Thank goodness for multi-tasking,flexible farmers!